Following the controversy over Lana Del Rey playing Meteor Festival in Israel, which she then doubled down on defending before subsequently dropping off, another band has more quietly left the bill. American pysch-pop band Of Montreal has announced via a post on Instagram that they too will not participate in the festival. Del Rey’s plan was, in an attempt to stay neutral, to try to book gigs in both Israel and Palestine and the inability to make that happen logistically is what forced her cancellation. 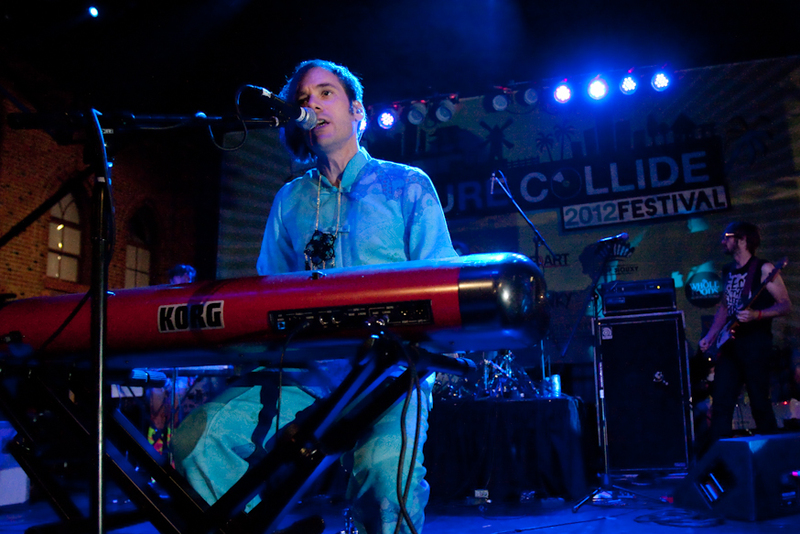 Of Montreal on the other hand took a more political approach, specifically condemning the actions of the Israeli government. The post reads that the cancellation is due to “the political and military leaders of the country continue[ing] their murderous and brutal policies against the Palestinian people,” and that now is not the time for escapism through music but real activism and protests against the state’s government. The band offer that they have nothing but love for the peace loving citizens of Israel as well as the peace loving citizens of Palestine. Read the entire statement below. Other notable artists to cancel their appearance at the festival include electronic artist Schlohmo, United States DJ Volvox, South African duo Black Motion and European DJs Shanti Celeste, Leon Vynehall and DJ Seinfeld, singer Selda, Australian DJ Mall Grab and Israeli electronic duo Zenobia. If you’re wondering why Roger Waters has taken an outspoken stance on this festival — well, he hasn’t. He recently posted on Facebook urging Kamasi Washington (whom he erroneously calls the “only notable standout” on the lineup, ignoring the presence of Pusha T, Flying Lotus, Soulwax, Ariel Pink, Little Simz and many more) to pull out of the festival.